Home » Blog » Feeling Harried This Holiday Season? It’s the most wonderful time of year according to Andy Williams and The Hallmark channel. Yet, instead of much mistletoeing and your heart all glowing you are up to your ears in a frantic pace of shopping, wrapping, decorating and hosting. Have no fear, The Organizing Professionals are here spreading good cheer with our helpful Holiday hacks! 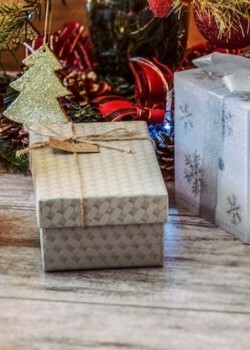 Jill recommends using Ziploc bags to separate light strands, bows, gift tags within storage containers and small gift boxes with tissue paper to store fragile ornaments. She then donates or purges any decorations that have not been used for several years. Ann suggests trimming the bottom of the trunk of a live tree about 2 feet from the top of the stand. This allows for better display of lower hanging ornaments and allows more space for gifts. From all of us at The Organizing Professionals, we wish you a very happy Holiday season!